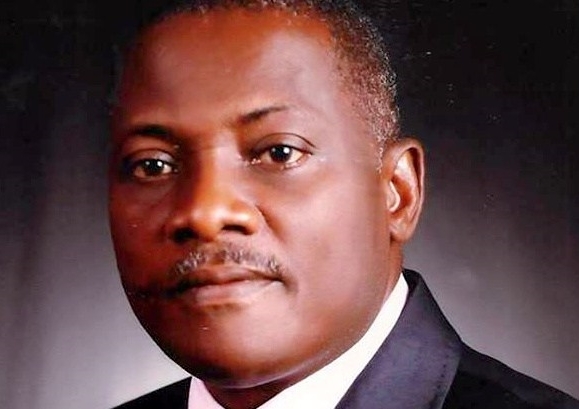 The Inspector-General of Police has filed an application before the Lagos Division of the Federal High Court seeking a bench warrant against Innocent Chukwuma, the Chairman of Innoson Nigeria Limited, and four others for refusal to appear before the court over allegations of forgery. In an affidavit sworn to by Noma Wando, a litigation officer in the Department of the Public Prosecutions, Federal Ministry of Justice, the deponent averred that the office of Inspector General of Police filed charges against the accused persons on December 21, 2015. The deponent stated that the said charge was served on the defendants through a court order of substituted service dated February 8, 2016, adding that the office of the AGF took over the prosecution of the case on February 18, 2016. Mr. Chukwuma and his company alongside Charles Chukwu, Maximian Chukwura, Mitsui Osk Lines, and Anajekwu Sunny are facing a four-count charge of falsifying shipping documents amounting to N2.4 billion. The deponent also averred that since the service of the said charge on the defendants, only two of the defendants Mr. Chukwura and Mitsui Osk Lines had continually made appearances in court, while Innoson Nigeria Limited and its boss, Mr. Chukwuma, as well as Messrs Chukwu and Anajekwu had shunned court appearances and, as a result, their pleas are yet to be taken. Last year, the defendants had filed an applicationasking the then presiding judge, Saliu Seidu, to recuse himself from the trial. The case was later transferred to another judge, Ayotunde Faji. On February 23, 2017, the prosecuting counsel, Julius Ajakaiye, informed the court that the four defendants had consistently failed to appear in court to take their plea, and therefore applied for a court summon to be issued against them pursuant to the provision of the law. But the court directed the state to use her enormous power to arrest and produce the defendants in court since they were all granted administrative bail by the police. The directive of the court was communicated in writing to the Inspector General of Police. Despite the directive, the four defendants continued to be absent at court proceedings although they are always represented by counsels. On September 19, 2017, the Lagos Division of the Court of Appeal in a unanimous ruling dismissed the motion for stay of proceedings brought by the defendants and directed that proceedings at the lower court should continue. On October 10, 2017, when the case came up, the four defendants were still absent in court but represented by their lawyers. Justice Faji adjourned till November 21 for hearing of the application for issuance of bench warrant. The police in a four-count amended criminal charge marked FHC/L/565C/2015 filed before the court alleged that the defendants had between January 2010 and April 2011, at Apapa Wharf criminally conspired amongst themselves to wit, falsification of shipping documents which they deposited with Mitsui Osk Lines, Lagos, which was used as collateral for the purpose of clearance of raw materials polyvinylchloride (PVC) for the production of roof ceilings and other imported items. They were also alleged to have falsely and fraudulently represented as genuine, the altered shipping documents and presented same to Guaranty Trust bank Plc to obtain a loan of N2.4 billion. All the offences alleged to have been committed by the accused persons are contrary to and punishable under sections 3(6),1(2)(C) of the miscellaneous offences Act Cap. M 17 Laws of the Federation, 2004.